The Magnomer team is excited to announce that it will commence pilot trials with Casella Waste Systems, Inc. Magnomer is to test the performance of its bottle-cap markers in Casella's MRF located in Charlestown, MA. Magnomer is a Boston based MassChallenge startup that uses magnetizable markers as means to design recyclable zero waste packaging. Bottle cap markers, to be commercially tested by Casella, are intended to provide the packaging industry a solution for enhanced recyclability without undue reliance on consumer behavior. The design also allows recycling plant operators to reduce contamination by plastic bottle caps. Caps, which are mis-sorted due to their small size, commonly mix with glass and reduce end-market glass recycling value. 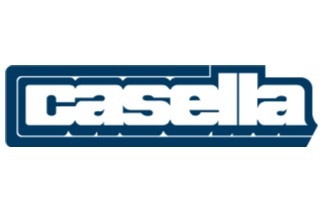 Casella Waste Systems, Inc. (Nasdaq: CWST) is an integrated regional solid waste services company that provides collection, transfer, disposal, recycling and resource management services to residential, industrial and commercial customers, primarily throughout the eastern United States.